Esther Read, M.S.W., Director of Admissions at the C.F. Menninger Memorial Hospital. 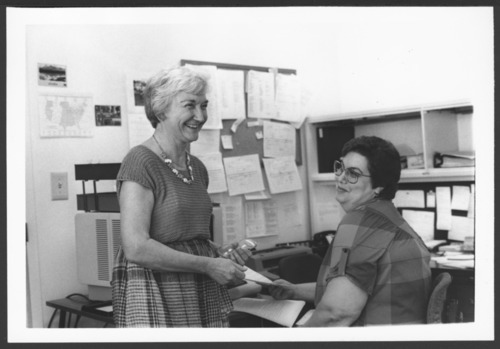 She is shown with Marjorie Dye, the administrative assistant and office services manager.